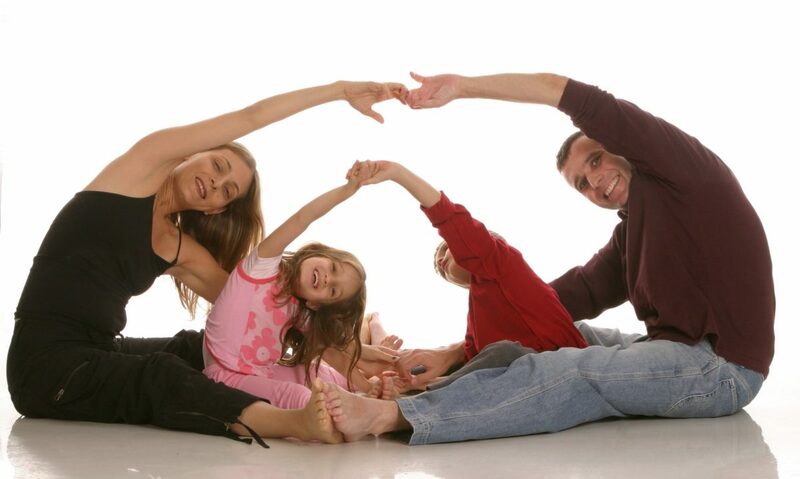 Family Yoga is offered weekly on Wednesday evenings from 4:30 p.m. – 5:30 p.m. for families with children ages 5-10. No yoga experience is necessary! Carve out time and have fun with your kids! Fridays, February 22, 2019 | 6:00 p.m – 7:00 p.m.
Wednesdays, weekly classes beginning March 6, 2019 | 4:30 p.m. – 5:30 p.m.
Take a mid-week break! Nurture the entire family with fun, strength, relaxation, and laughter. Enjoy happy, healthy, quality time together in a weekly family yoga class facilitated by Carolyn Reece, Certified ChildLight Yoga Instructor. No yoga experience is needed, only the desire to have fun! Offered February 22 at 6:00 p.m. – 7:00 p.m. Starting March 6 a new day and time! Weekly classes 4:30 p.m. – 5:30 p.m. each Wednesday. Register now! Space is limited. Friday, February 22, 2019 | 6:00 p.m – 7:00 p.m.